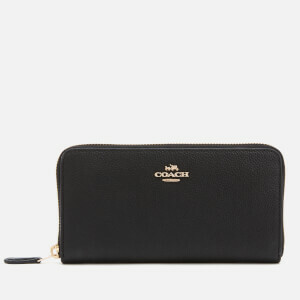 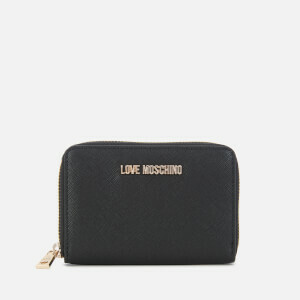 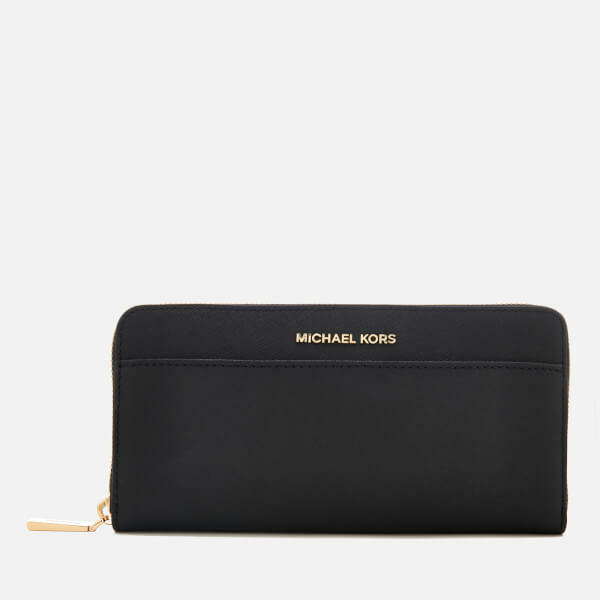 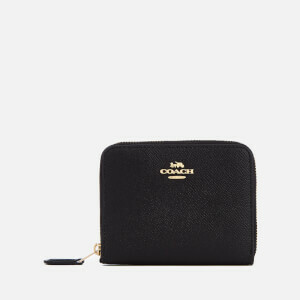 Women's zip around wallet from MICHAEL MICHAEL KORS. 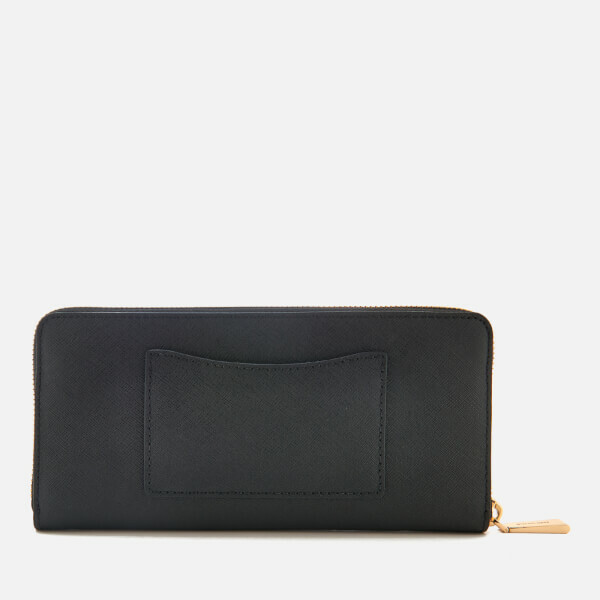 Crafted from textured saffiano leather, the 'Continental' purse opens to reveal an organised, lined interior with multiple slip sections, twelve card slots and a central zipped coin compartment. 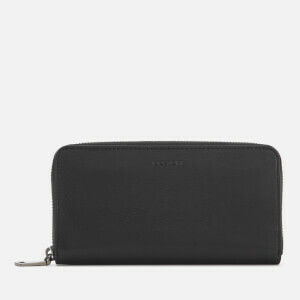 A front slip pocket and rear ID pocket also feature. 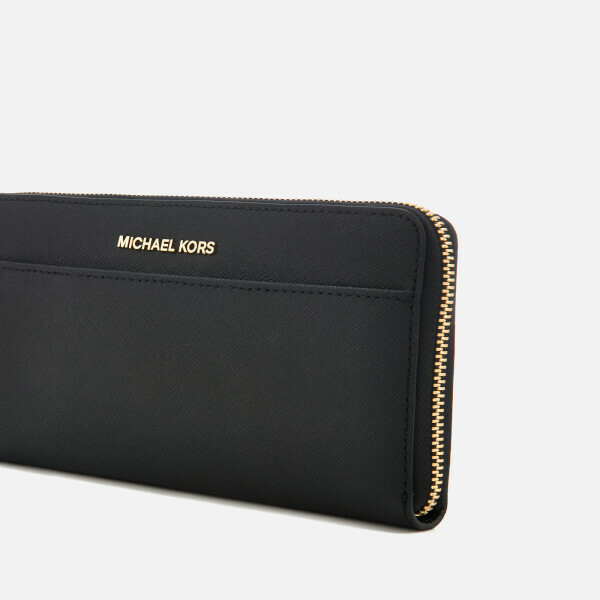 Complete with gold-toned hardware and signature branding.